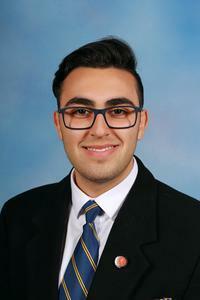 Born in Syria, Mikhael Touma immigrated to Australia in 2014 where he began his studies at St Bernard’s College. Mikhael, although with limited English knowledge, was able to integrate into the College quickly and became a positive influence on the community through involvement in social justice activities. His passion for academia has also seen him succeed in the classroom, where he inspires other students to work hard no matter the circumstances. ​Mikhael also advocates for refugee rights amongst the school community, especially by sharing his own personal stories in the schoolyard of life in his country of birth.